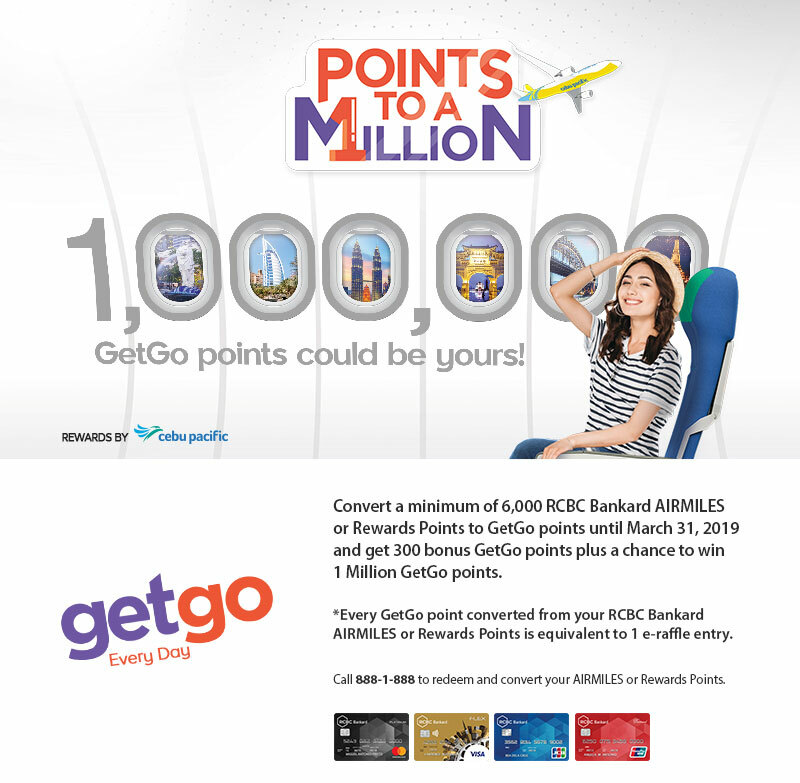 Get 300 Bonus GetGo Points and a chance to win 1 Million GetGo Points for a minimum of 6,000 RCBC Bankard Rewards points (equivalent to 2,000 GetGo points) converted to GetGo points during promo period. 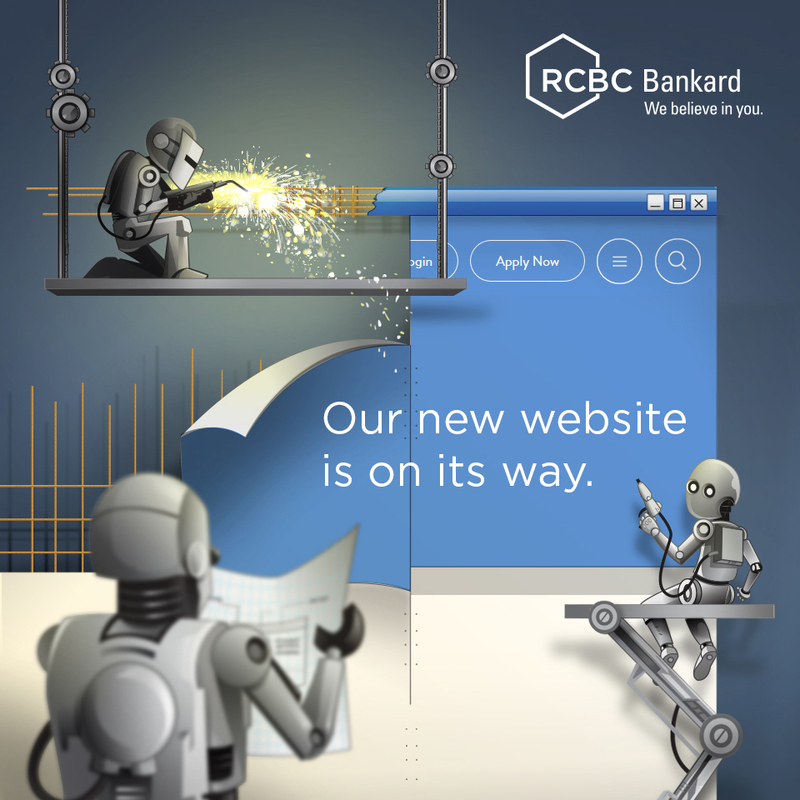 Cardholder earns 300 GetGo points for every 6,000 RCBC Bankard Rewards points converted. Standard conversion mechanics and turnaround time for points awarding per participating bank apply. Complete details available here. Bonus points are awarded on the same day as the regular points following each of the bank’s Turnaround time. 7. Promo may be availed on top of other participating bank-partner specific conversion promos. 8. There is no limit on the no. of transactions done by member per participating bank partner for the duration of the promo as long as it always meets the minimum points conversion required per transaction. To be loaded to the winner’s account which he/she may use while account is active. GetGo Terms and Conditions on the use of GetGo points apply. 13. Raffle draw is on April 12, 2019 and will be held at 4F, New Cebu Pacific Building, Domestic Road, Pasay City and to be witnessed by a DTI representative. 14. The winners will be notified via registered mail, e-mail and a phone call, and will also be announced in GetGo’s social media account (Facebook). Upon receipt of the notification, the winner should immediately contact the Marketing Team of GetGo. Contact details will be provided through a notification email as well as the process of crediting the 1 Million GetGo points. Redemption of the winning prize is within 60 days from receipt of notification. Prizes not claimed within 60 days upon receipt of notification shall be forfeited in favor of Cebu Pacific Office with prior approval from DTI. The winners shall agree to be featured in any and all publicity materials of Cebu Pacific Get Go. The 20% prize tax (if any) shall be care of GetGo. Cebu Pacific Loyalty Division, GetGo Partners and Advertising Agency including their relatives up to second degree consanguinity/affinity are disqualified from joining the raffle promo.